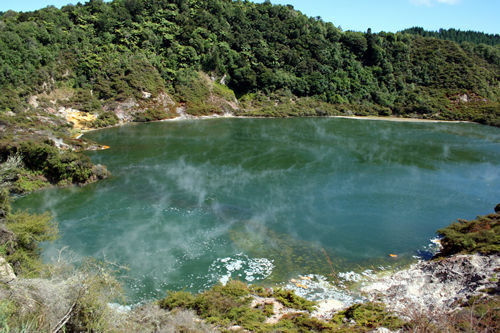 One of New Zealand's major tourist attractions is Rotorua in the centre of the North island. It has a good selection of accommodation for travellers and visitors. Stay in luxury hotels that cater for business and commercial travellers, apartments, or take advantage of excellent deals in discount or cheap hotels to better suit your budget. TikiTouring makes it easy to find and make reservations at the type of Rotorua hotel you want through our affiliation with Booking.com. Make bookings online to get great savings and special accommodation deals.